A sashikomi is a thrust into an enemy formation that touches three enemy stones. 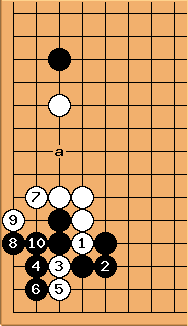 is a sashikomi that threatens to cut at a or b. 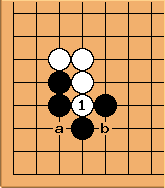 Black just approached (tsume), threatening an invasion at a. 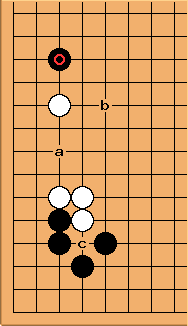 White could defend at b, but has a better option: probe at c.
If Black connects inside, White defends and can later exploit the weakness (aji) at a. 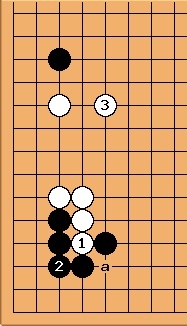 If Black connects outside, White plays forcing moves (kikashi) until the weakness at a is gone, allowing White to grab the initiative (sente) and play 11 elsewhere.